A man attending a movie on Saturday at an AMC theater in Columbus, Ohio was pulled from a theater, detained, and questioned for over two hours by US Dept. 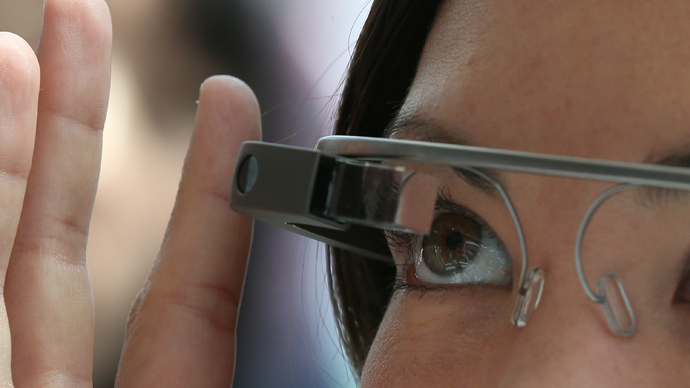 of Homeland Security special agents tasked with fighting piracy - all for wearing Google Glass. The man, who asked to remain anonymous, said that about an hour into a 19:45 EST showing of ‘Jack Ryan: Shadow Recruit,’ a man who flashed an official-looking badge “yank[ed] the Google Glass” off his face, asking him to exit the theater. The man was attending the film with his wife at the AMC theater at Easton Town Center. Two officers then ordered him to hand over his wallet and both his work and personal cell phones, according to tech site The Gadgeteer. The man said he was questioned for 20 or 30 minutes on why he was attempting to record the film. Because he had recently added prescription lenses to his Google Glass, the 35-year-old man wore them into the movie. The device has a voice-activated computer and does have an attached camera. “I said, ‘Want me to prove I’m not recording the movie? It’s very easy,’” the man told the Columbus Dispatch on Tuesday. 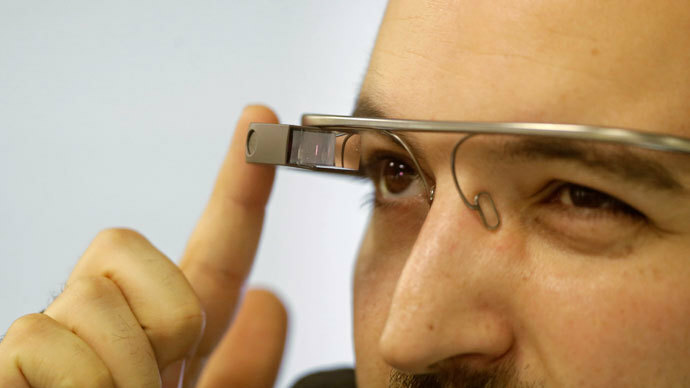 He said he indicated to the agents that Google Glass has a USB port where the device can be reviewed. "There’s nothing but pictures of my wife and my dog on it,” he told the agents. The agents declined, electing to detain and question the man in a downstairs “management” office for around two hours, repeatedly asking the same questions again and again. The man says he was asked who he was working for, how many computers he had at home, why he had attempted to record the film, and “why don’t I just give up the guy up the chain.” The agents, of the US Immigration and Customs Enforcement (ICE), finally reviewed the device to see there was no material of interest. He was allowed to leave just after 23:00 EST, with two free movie passes. 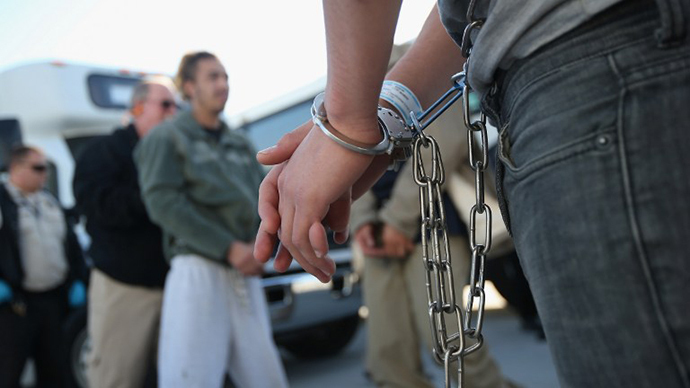 The Columbus Dispatch learned the agents were from ICE’s Homeland Security Investigations unit, which is tasked with combating piracy and counterfeit goods. “The man, who voluntarily answered questions, confirmed to authorities that the suspected recording device was also a pair of prescription eye glasses in which the recording function had been inactive. No further action was taken,” Walls said in a statement. An AMC spokesman said the Motion Picture Association of America (MPAA) was at the same theater last weekend when the man wearing Google Glass was pointed out. An MPAA representative flagged the man thought to be recording the film for the Department of Homeland Security. “While we’re huge fans of technology and innovation, wearing a device that has the capability to record video is not appropriate at the movie theater,” AMC’s Ryan Noonan said. 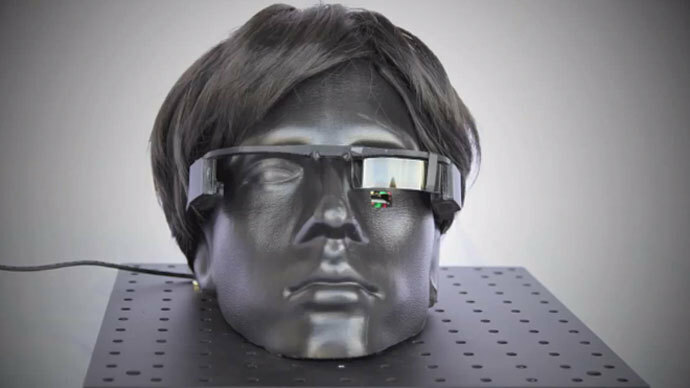 The MPAA said in a statement that it has not seen any reason to believe that Google Glass poses a threat that could lead to film piracy. The man said he acquired Google Glass in November during Google’s exclusive offer, known as the Explorer program. He and around 30,000 others have paid US$1,500 to test-run the device before it is released to the public later this year. In addition, the prescription lenses cost him $600. He said he regrets wearing Glass to a movie, despite having done so in the recent past at the same theater without issue.